St. Martin's Paperbacks, 9781250067999, 416pp. 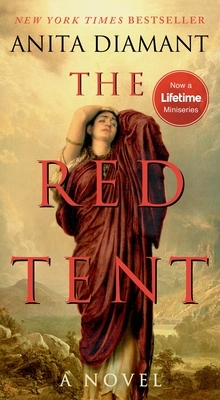 Anita Diamant is the author of The Red Tent, a word-of-mouth bestseller and the Booksense Best Fiction selection. She is also the author of the novels Good Harbor, The Last Days of Dogtown and Day After Night, a collection of essays, Pitching My Tent, as well as six books about contemporary Jewish life, including The New Jewish Wedding and Choosing a Jewish Life: A Guidebook for People Converting to Judaism. Diamant grew up in Newark, New Jersey, and Denver, Colorado. She has a bachelor’s degree from Washington University in St. Louis and a master’s in English from the State University of New York at Binghamton. She lives in Massachusetts with her husband.